O.CT Tuning has released power upgrades for the previous (991.2) generation of the Porsche 911 Carrera, Carrera S, and Carrera GTS. 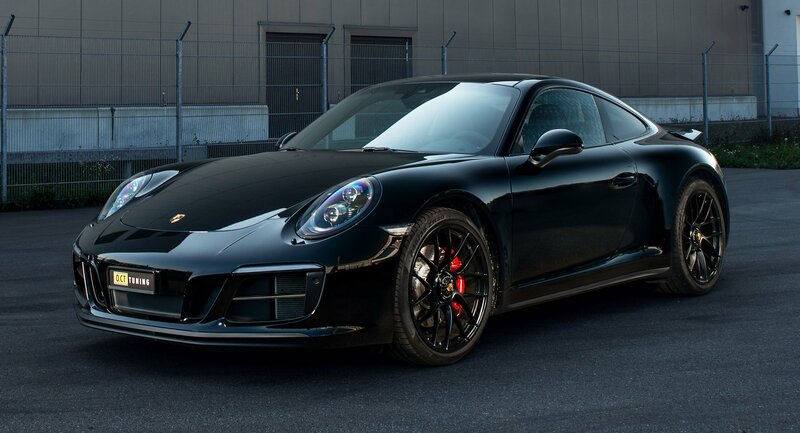 The regular Carrera gets two boost kits to choose from. The Stage 1 kit is essentially an ECU remap that brings it up to 430 hp (321 kW) and 520 Nm (384 lbft) of torque, which is 60 hp (45 kW) and 70 Nm (52 lbft) above the stock values. Those who want more may opt for the Stage II with its 475 hp (354 kW) and 580 Nm (428 lbft). The Porsche 911 (991.2) Carrera S gets a boost to 475 hp (354 kW) and 580 Nm (428 lbft) via ECU tuning, becoming 55 hp (41 kW) and 80 Nm (59 lbft) stronger than its non-modded counterpart. Finally, the GTS trim ascends to a total of 520 hp (388 kW) and 640 Nm (472 lbft) of torque, thus gaining 70 hp (51 kW) and 90 Nm (66 lbft) over the factory version. Ask OC.T Tuning for pricing and availability of the Stage I / Stage II kits in your location.